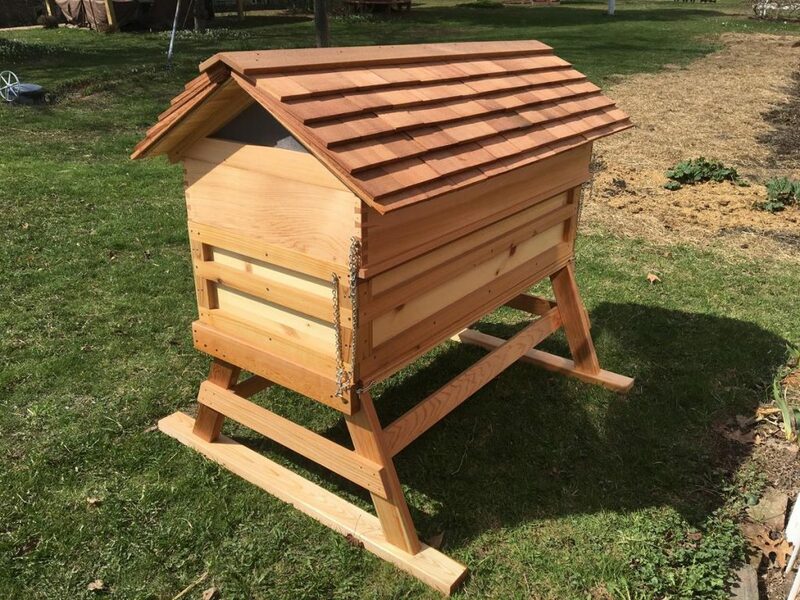 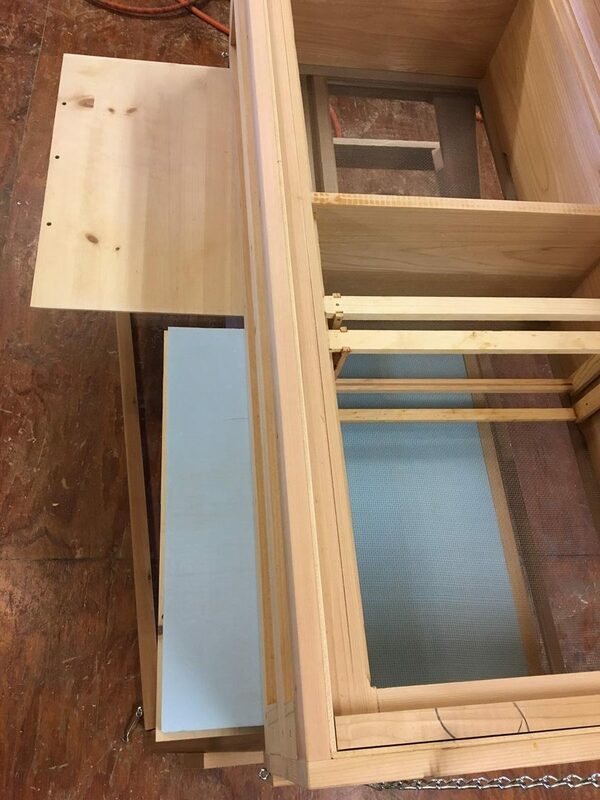 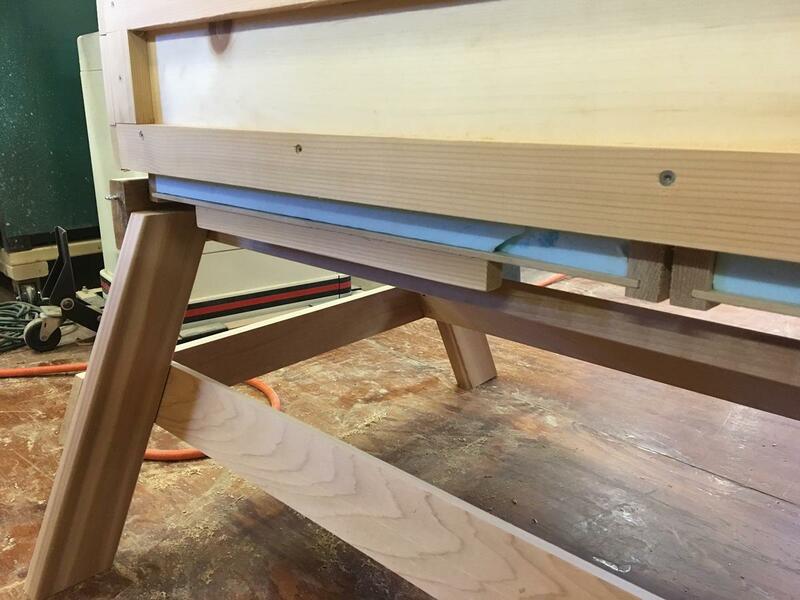 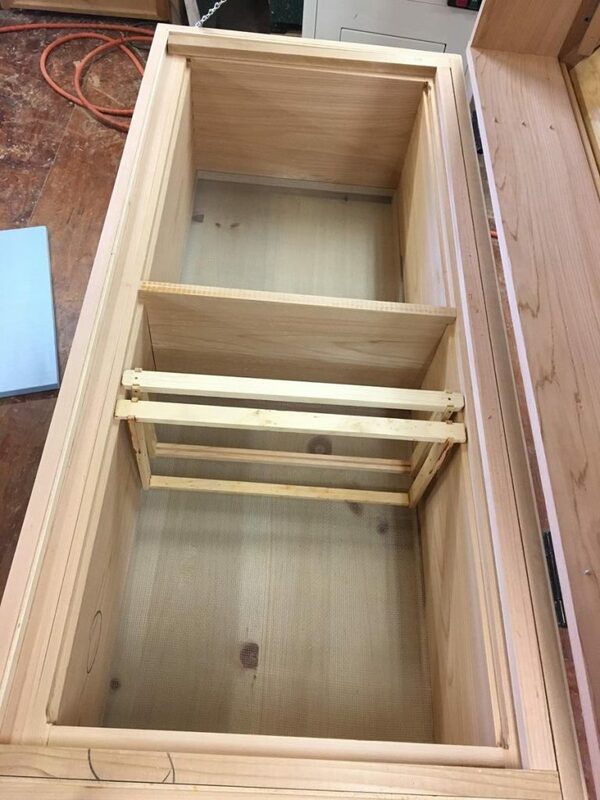 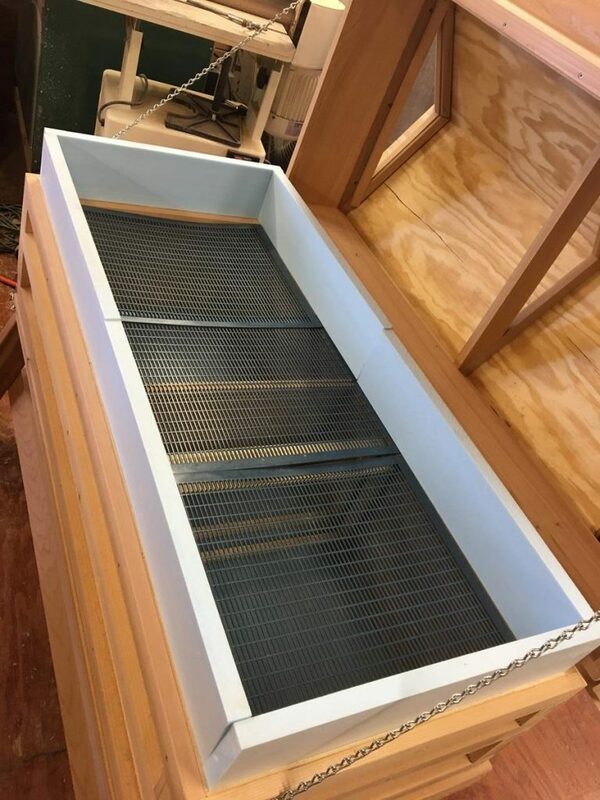 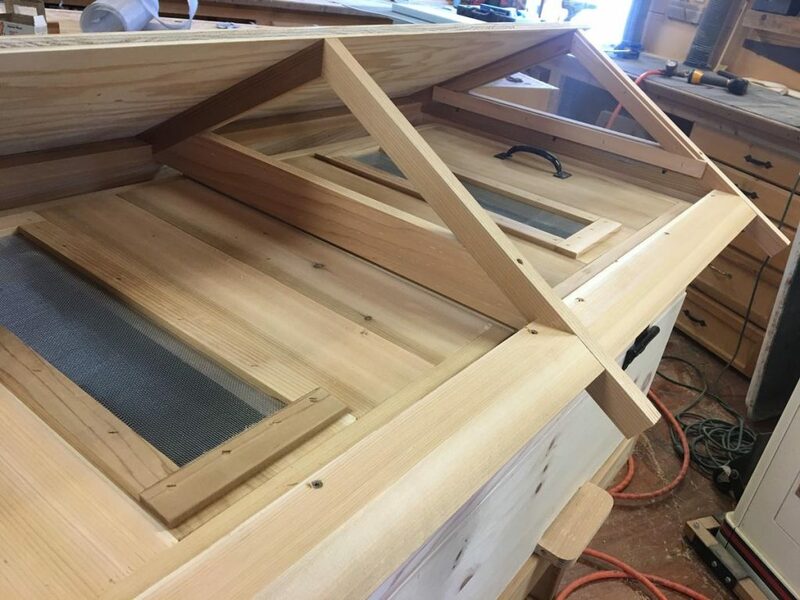 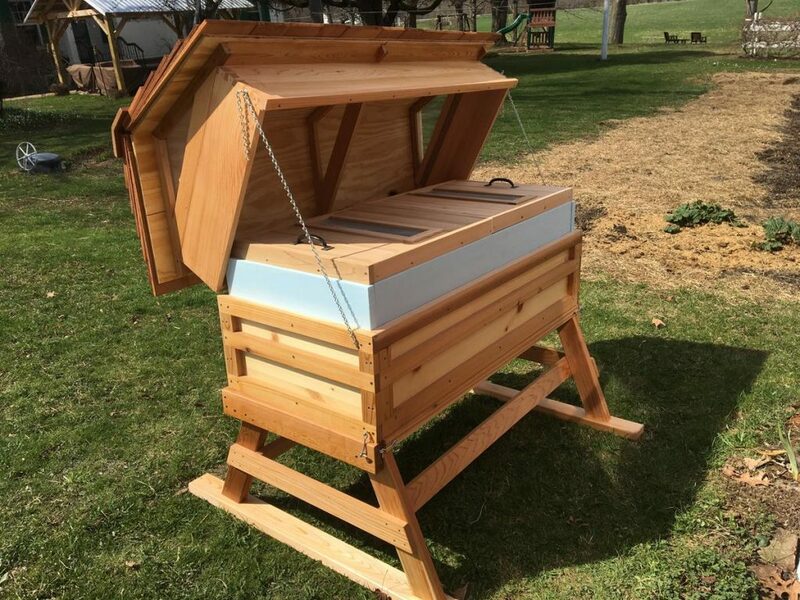 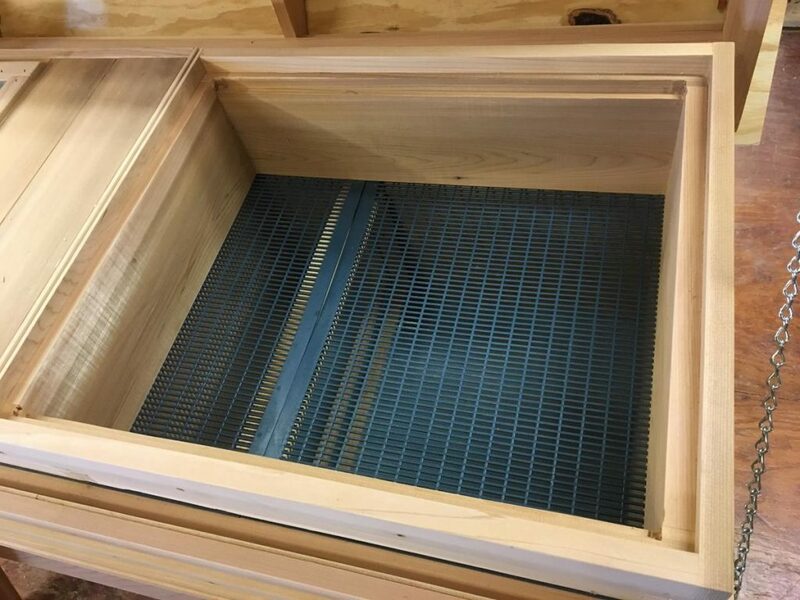 The unique, modified European long hive was designed from the traditional stack-able box bee hives and the European Long hive along with a few upgrades. 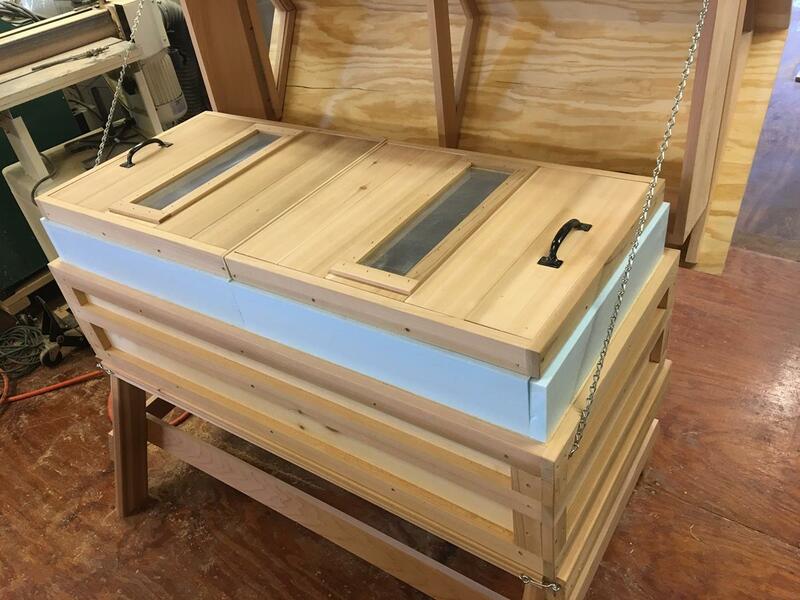 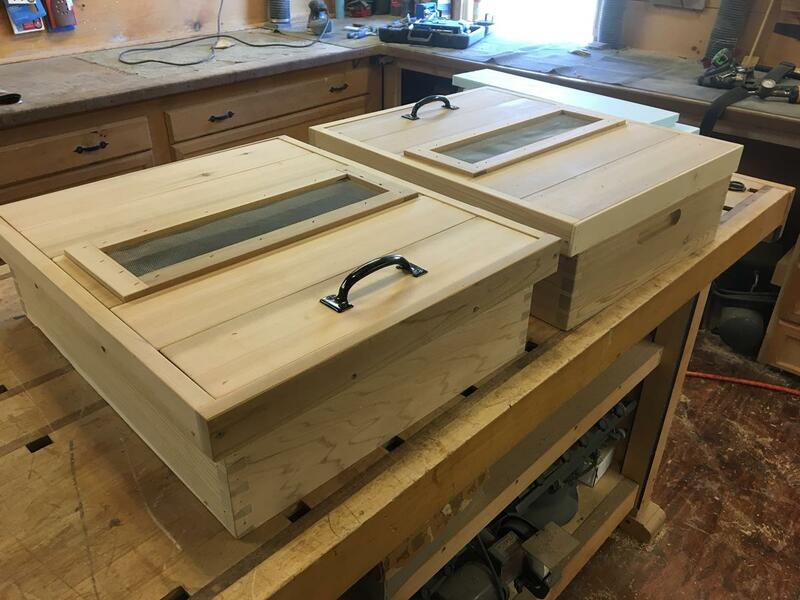 We took the technology from Europe of how their long hives work and the time proven traditional box hives and added a few "extra" features to make one of the most unique and sophisticated bee hives ever created. It have even been giving the nick-name "The Taj Mahal of bee hives" by other beekeepers. 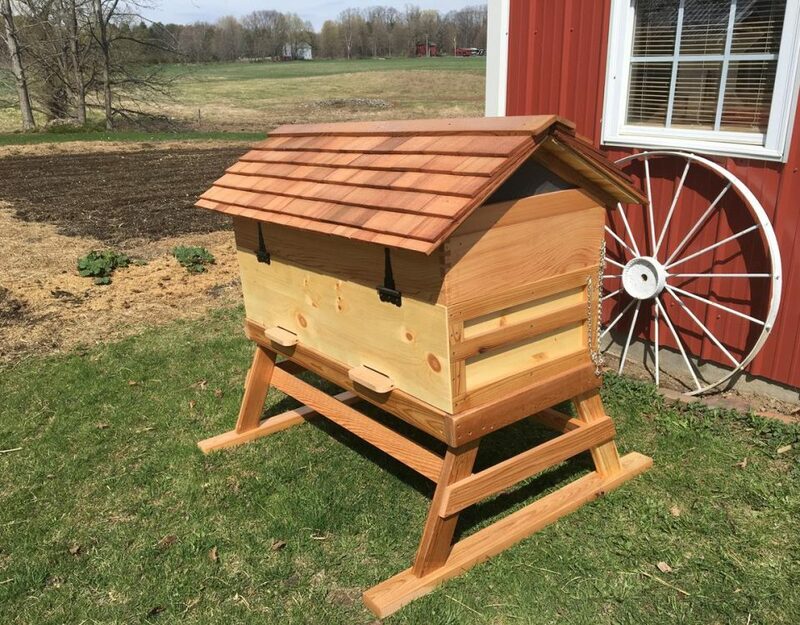 This hive has everything from a front porch, to a mite screen, to having the ability to hold 2 separate hives under one roof, all the way from the brood box to the 2 Supers with vents. 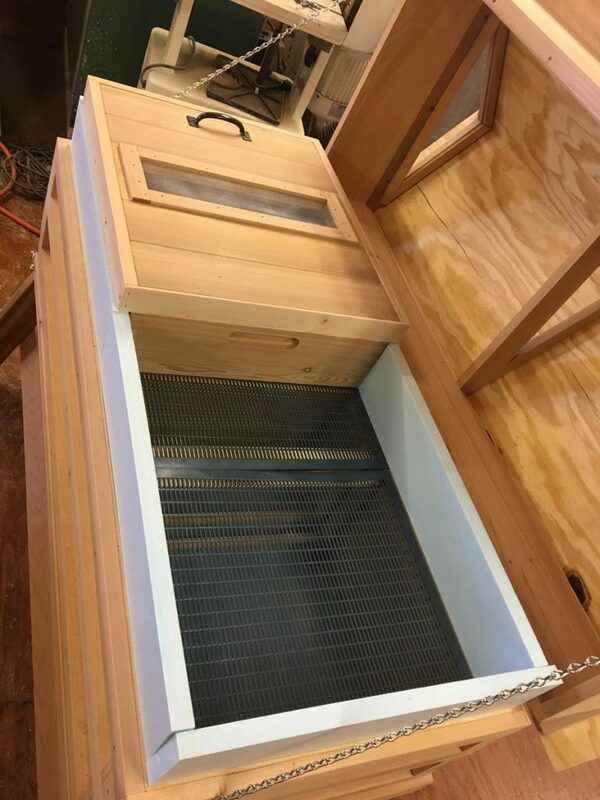 We also incorporated a design that allows an "up-draft" and insulation with bottom insulation as well for extreme cold winters. 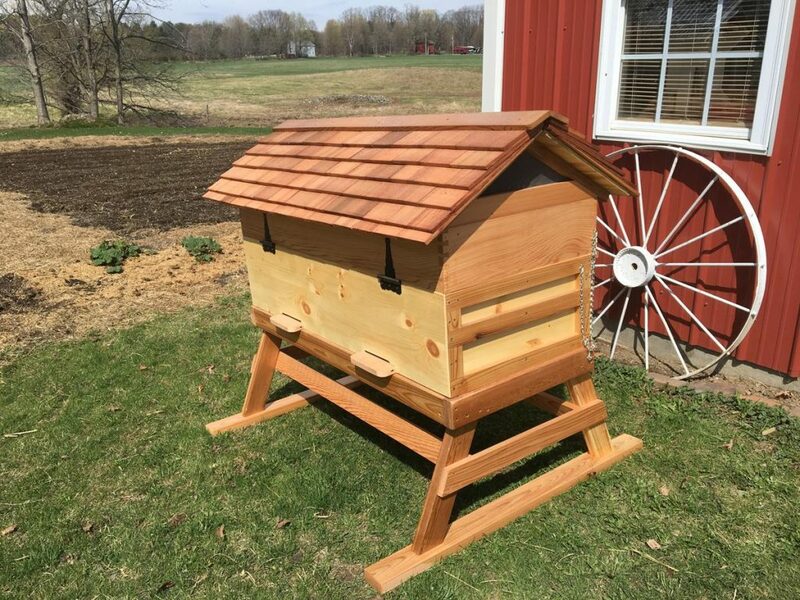 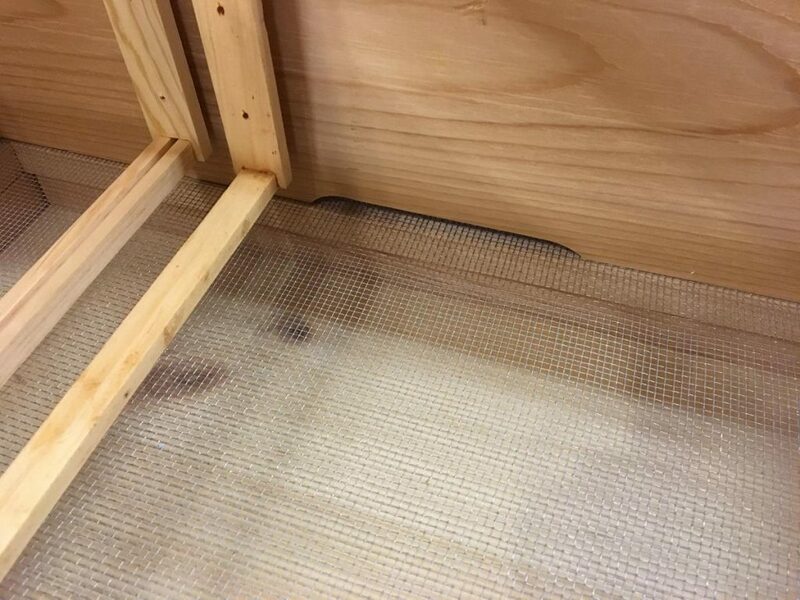 These hives also come with Grade A cedar singles to top it off. 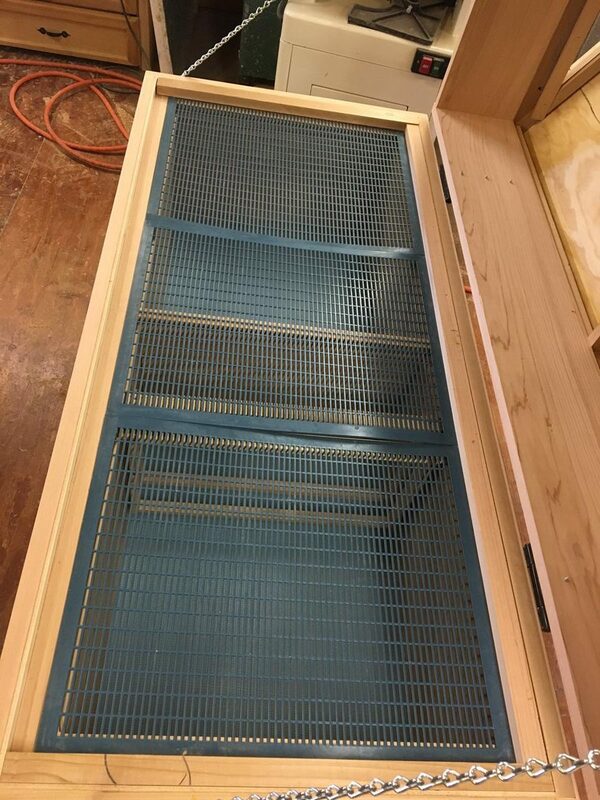 Top panels have a single panel with screen for ventilation, same panels can go on top of "supers"